The Town of Parker and the Parker Authority for Reinvestment (P3) owns four parcels of land in their downtown area that are either vacant or underutilized. The four parcels total roughly 30 acres and represent a unique opportunity for catalytic in-fill development that will further activate the surrounding Downtown Parker area. Previous attempts to develop these parcels have been met with significant community pushback and a lack of Town Council alignment. The goal of the project is to generate community and Town Council consensus on the future development opportunity for these four parcels and to then identify a developer(s) who will enter into a development agreement with the Town. This project offers a critical opportunity to strategically engage the community around community benefit in the downtown area, analyze market demand and opportunity, and also building strategic networks and capacities for the larger economic and social growth throughout the entire Parker community. Trestle developed a project specific Bang the Table website to inform the Parker community about the project and changing market conditions, as well as gather community input into future planning scenarios. Please visit the My Mainstreet Bang the Table site for more. Open Space and Mountain Parks (OSMP) is celebrating its 50th Anniversary of the nation’s first open space tax. Looking back on the accomplishments from the last 50 years and looking forward to the future, OSMP is developing a departmental master plan. This master plan establishes policies and management priorities that respond to community and system-wide needs. Trestle is working with Design Workshop and OSMP staff to plan a public process that will incorporate community values into an open space strategic vision lasting for the next 10+ years. Public participation will be fostered and encouraged through multiple opportunities so that all stakeholders can engage, participate, interact, and refine the Master Plan. Starting with the public Kick-Off in early 2018, Trestle and OSMP staff will be engaging diverse communities to solicit feedback and build alignment with community goals. 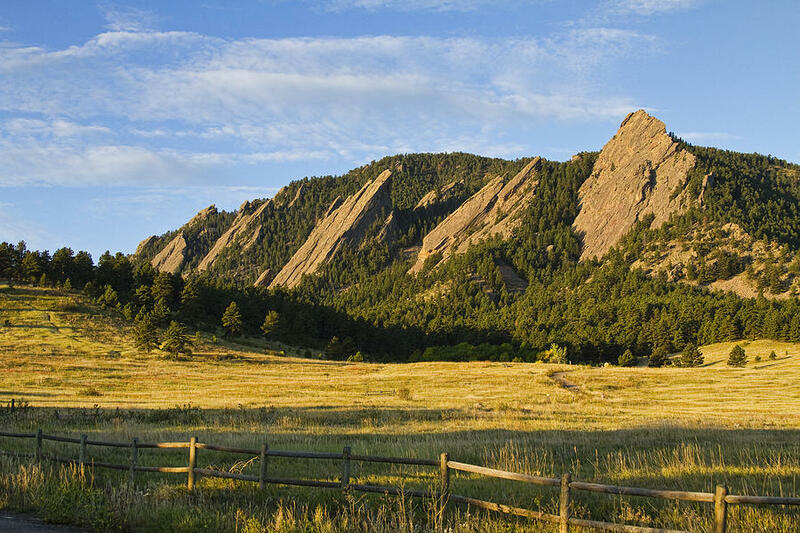 A Public Engagement Plan will be implemented using recommendations from the Public Participation Working Group (PPWG), which was formed to identify problem areas in the public engagement process in Boulder. The PPWG ultimately decided that a sense of shared responsibility must be formed between the City and community in order to foster successful civic engagement. Trestle Strategy is leading the community engagement and outreach program for the Town of Vail’s Civic Area Master Plan update. As a team member with 4240 Architecture and Braun Associates, Trestle is facilitating a community visioning platform that will inform the community residents and decision makers about future opportunities and desires for Vail’s Civic Area. This planning efforts strives to accomplish three broad objectives: Define the community’s goals and aspirations for how this key part of town can be utilized, specifically to identify a range of community and civic uses that may be desirable for the study area; Evaluate the study area to understand opportunities and constraints for the use of this land and then based on community input prepare conceptual plans and ideas depicting how the Civic Area can be used, and; Assemble a final master plan for the study area that documents the planning process and defines the community’s vision for Civic Area. Please visit our Bang the Table Engage Vail website for more. Trestle is assisting Economic & Planning Systems (EPS) with the City of Louisville’s McCaslin Parcel O Redevelopment Study. This redevelopment study will identify the opportunities for the McCaslin commercial area that will encourage retail vibrancy, commercial health, and a desirable place for the community to gather. 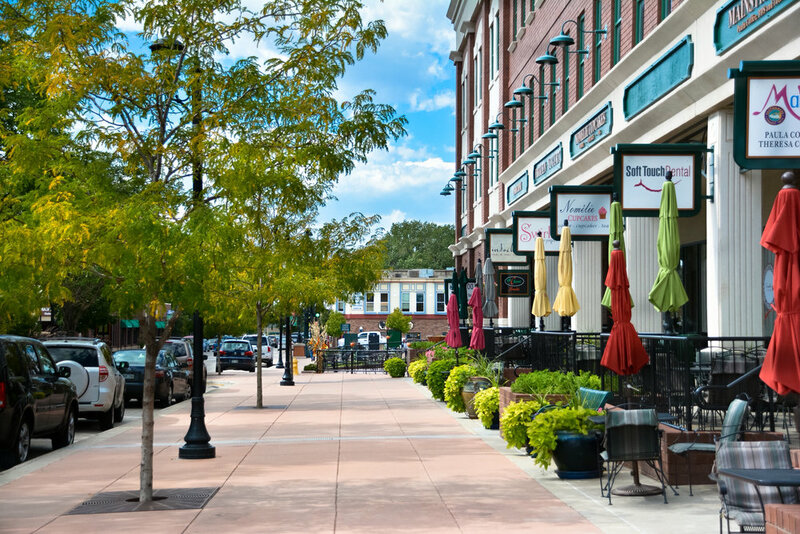 Ensuring a vibrant retail corridor is vital to the long term fiscal health of the City and a thoughtful mix of real estate options that fosters quality long-term tenants and encourages residents and visitors to enjoy the area is necessary for the area to remain viable. Trestle is analyzing the complex regulations for the 44 acre area to identify all opportunities and restrictions in a redevelopment scenario and is spearheading the community outreach and engagement for this community project. A robust and thorough engagement process will bring the community together and create a vision for the future. 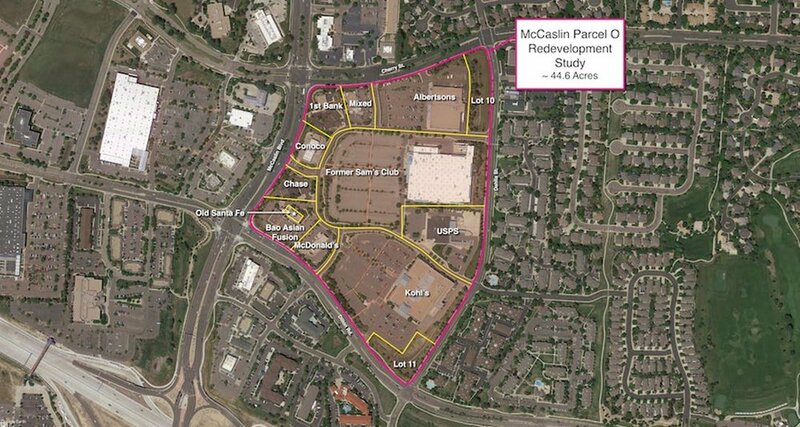 Please visit our Bang the Table McCaslin Parcel O Redevelopment project website for more. Since 2015, Trestle has been conducting a series of studies and facility planning efforts on the former Boulder Community Hospital (BCH). Trestle conducted a preliminary redevelopment cost estimate and facility use study which provided the information the the City of Boulder required to purchase the 8.8 acre former hospital property in 2015, including several buildings and parking structure. Trestle is currently conducting a re-use and rehabilitation versus demolition and reconstruction analysis of the property. By identifying key opportunities, benefits, and challenges of both scenarios, Trestle aims to guide the City in evaluating options for future redevelop- ment of the site. Trestle is also assisting the City design and implement a community storytelling and public engagement program for the BCH campus (Alpine-Balsam). Trestle and the City opened an onsite public engagement space where community members have the opportunity to share their stories, experiences, and memories of the iconic facility, as well as learn about this multi-year community project. This interactive space will provide a platform to engage with the community and guide future visioning and planning efforts for the long term redevelopment of the site. Finally, Trestle is assisting in the envisioning of the BCH campus and future city facilities with Mithun. By acting as a long-term partner in the investigation, design process, and eventual redevelopment of the entire site, Trestle plans to help establish an additional community asset at the former BCH Campus. As part of a larger consultant team, Trestle will be working with the City to develop a vision and guiding principles for the redevelopment. Trestle recently worked on a facility evaluation and space needs analysis of the Public Safety Building in Boulder. Working closely with all divisions of the Police Department and the Fire Administration to document the existing space and deficiencies, understand future employment growth, identify opportunities, adjacencies and efficiencies, and develop operational recommendations and improvements necessary to support the current and future needs. The study addressed options to maximize the current facility in terms of both space utilization and potential expansion opportunities, and included budget development, conceptual site planning and recommendations. Since 2010 and recently updated in 2015, Danica has been working as a consultant to the City of Boulder’s Facilities and Asset Management (FAM) Department to prepare the FAM Master Plan update. This plan provides policies, recommendations and funding priorities for all of the city-owned facilities for a 10-year period, and includes recommendations to reduce operating and maintenance costs, enhance workflow and service delivery, and operational solutions. Extensive stakeholder outreach was required in the programming stage of this plan, including meeting and priority setting with over 15 departments and 5 boards and commissions. Trestle is proudly helped the City of Boulder’s Fire-Rescue Department analyze their future space needs for Fire Station 3 and the Fire Administration Building. As the second busiest Fire Station in the Boulder Area, Station 3 needs to be relocated out of the floodplain and reconfigured to better improve operations and safety for the Boulder firefighters. Danica Powell and Cole Meleyco analyzed the existing conditions of Boulder’s Fire Stations and recently built stations in the surrounding area to provide detailed analytical and spacial recommendations to meet the future growth needs of the Boulder Fire-Rescue Department. A decision to rebuild a new Fire Station combined with administrative offices outside of the floodplain and in a new service location will improve firefighter operations, service coverage, and overall efficiencies of the department. Trestle analyzed the existing conditions and future space needs of the City of Boulder's Municipal Court. Currently located in the Boulder County Justice Center, the City's Municipal Court has seen an average of 20,700 case filing in the past 7 years. Extensive research was conducted to compare space sizes, design layout, and operations to government and industry standards to provide detailed analytical and spacial recommendations to meet future and operational needs. Trestle is currently analyzing the existing conditions and future space needs of the City of Boulder's Department of Community Vitality. Currently located in downtown Boulder, the Department combines the functions of City's Economic Vitality program with the Downtown University Hill Management Division and Parking Services/Boulder Junction. Interviews and research are being conducted to understand team dynamics and compare space sizes, layout, and efficiencies to industry standards in order to provide a detailed analytical and spacial recommendation to meet future and operational needs. Trestle Strategy led a team consisting of PlaceMatters, JVA Consulting Engineers, AyreGroup, and RCH Jones Consulting for an annexation scenarios study and design charrette of the Ponderosa Mobile Home Park in the West Fourmile Canyon Creek Area of north Boulder. With the overall goal of improving the health and safety conditions of the park, various annexation scenarios were developed and analyzed to discover the range of possibilities for this county enclave. An extensive community engagement program was executed focusing on residents input as well as management collaboration. Trestle used valuable community insights to develop a community profile that was incorporated into the different annexation scenarios that were presented to the City of Boulder's City Council. Trestle Strategy Group supported the Boulder County Housing Authority's community outreach program to the Lyons community. Trestle spearheaded a number of community outreach and engagement programs to inform the community about the planned 60-unit housing development project that would relocate families back in the Town of Lyons after the devastating 2013 flood. Specific programs included community walkabouts on the site where curious individuals could ask questions and learn about the project; website development to provide easy-to-access information regarding project logistics, updates, and FAQs; reoccurring email newsletters providing consistent and direct communications to the community; and visioning and engagement workshops where community members, stakeholders, and civic leaders could be engaged in the planning process through interactive sessions around massing, architectural treatment, amenities, sustainability, buffers, connections, and more. Approximately 100 homes in the Town of Lyons were lost in the September 2013 flood. Trestle Strategy worked with the Town of Lyons to research, evaluate, and recommend an appropriate location for roughly 60 recovery housing units. Significant site evaluation entailed legal considerations, utility capabilities, initial cost projections, and community considerations. An extensive and successful public engagement outreach program was established, including email update blasts to the local community and other stakeholders and site visits to nearby housing communities. Trestle opened a storefront office in downtown Lyons to provide a location for local residents and others to learn about the project, ask questions, and voice their concerns. Strong financial understanding of the Community Development Block Grant-Disaster Relief funding was required to properly understand the future development possibilities. Following the devastating September 2013 flood, the Town of Lyons asked Trestle Strategy to research, evaluate, and recommend an appropriate location for a new Public Works and Parks & Recreation facility. Due to the challenging land constraints in this floodplain community, Trestle evaluated over 45 sites. The future site is to include a large office and workshop building, outdoor equipment storage, outdoor materials storage, and parking. The evaluation included infrastructure costs, overall cost estimates, site feasibility, and implementation scheduling.